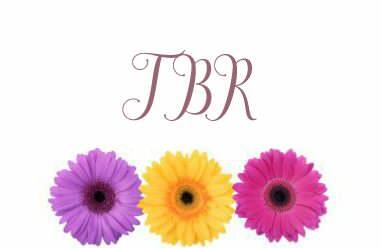 Its September TBR time! Before I say anything else I have to preface and say that to me TBR pile/list is more like a framework..I don’t always stick to them. So yet again, here is another overly ambitious TBR. Some of the books mentioned will be carry over’s from the previous months TBR. First lets start with the Rereads I want to tackle. ➽ Harry Potter and the Goblet of Fire (Physical, YA Fantasy) I just finished Harry Potter 3 and I’m feeling this book! But its sooo long! At least 720 pages and I want to tackle another long book so we will see which of the two I get to. ➽ The Name of the Wind by Patrick Ruthfoss (Adult High Fantasy) I’m currently halfway done with this book…..I started it months ago and put it aside and now I’m pick it back up and its so good its gearing up to become one of my all time favorite fantasies so far. ➽ The Nightingale by Kristin Hannah (Historical Fiction) This book and I are connected cosmically..Everywhere I turn I see this book; there are signs everywhere pointing me towards and I finally started it last night and its so vivid! I know I’m in for a good cry with this one. ➽ A knight of the Seven Kingdoms by George R. R. Martin ( Adult High Fantasy) I have major GOT withdrawals so I figured reading this collection of short stories based in the ASOIAF world (100 years before the main series) would be a perfect way to sooth my broken heart. ➽ A World of Ice and Fire by George R. R. Martin ( Adult High Fantasy) I also got this one from the library and its BEAUTIFUL :O the artwork is stunning! This is a sorta background info and insider guide to the whole world of Ice and Fire and I’m so here for it. Hopefully I can get to this. ➽ The Shadowhunters Codex by Cassandra Clare (YA Fantasy) This is another carry over from last month’s that I can hopefully get to because this is the last book in the Shadowhunter world that I’ve yet to read. ➽Tower of Dawn (Throne of Glass #6) By Sarah J. Maas (YA Fantasy) This comes out September 5th and I’m very on the fence about whether or not I’m going to be reading it. I own the previous book and have read it but honestly I’ve fallen out of love with SJM and her lack of diversity. If I hear enough good reviews for this book I’ll pick it up but I don’t want to support her and buy it. ➽ The Duchess Deal by Tessa Dare (Historical Romance) I’m so mad at myself for not reading this yet..I am about 10% in and I just want to focus solely on this when I pick it up again so I’m requesting it from the library and hopefully holding the physical book can help me just read this. The little I’ve read has been magical. ➽ The Scot beds his wife (Victorian Rebels #5) by Kerrigan Byrne (ARC, Historical romance) I’m very lucky to be part of the blog tour for this (expect that blog tour in the beginning of Oct) so I’ll be getting to this book at the end of this month. I’m super excited I have a very public obsession/weakness for Scottish men in books so this shall go smoothly. Yes Yes I know this is entirely unfeasible and you’re right…This is more of a roadmap of all the books I hope to get to but like I mentioned..maybe I might get lucky 😉 Thanks for reading guys and stay with me to see if I conquer this one.